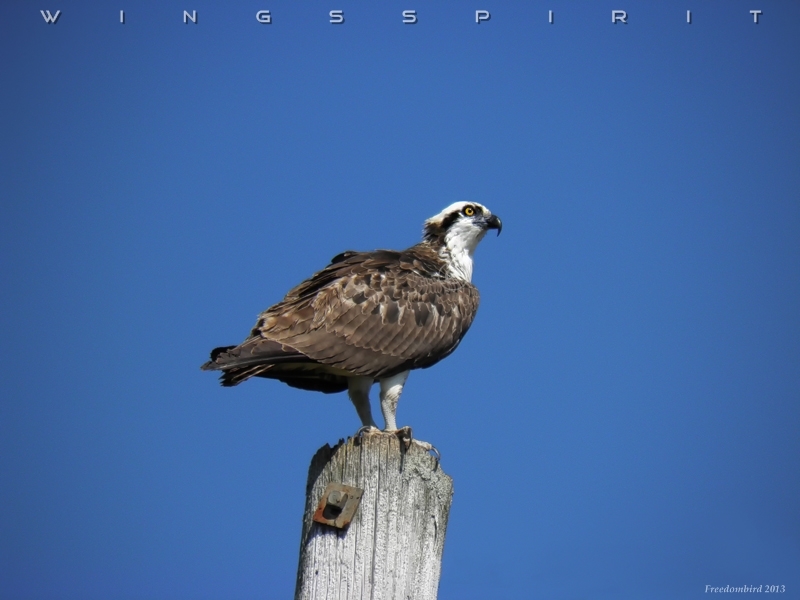 Wings Spirit: Osprey - The Greatest Hawk! Osprey - The Greatest Hawk! 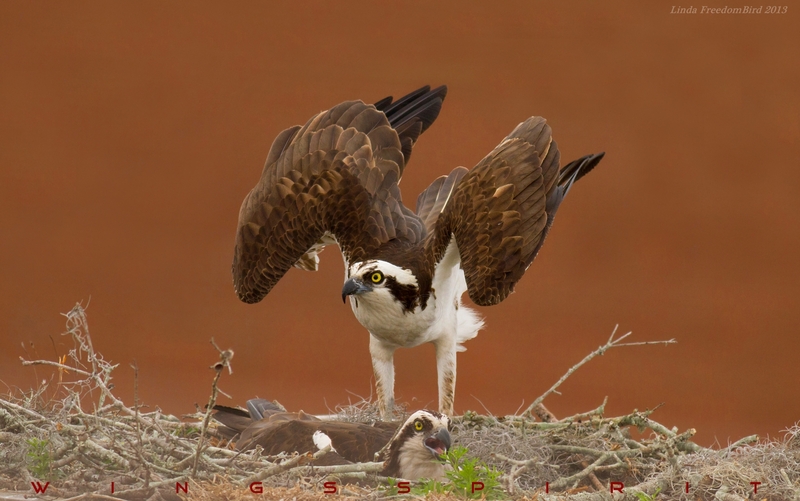 Osprey (Pandion haliaetus), a unique bird of prey, relies mainly on live fish, appears on all continents except Antarctica. Osprey reuse their nest year after year and both parents take turn and sit on the nest. During nesting season, their biggest threats are Bald Eagles, crows and raccoon as they steal the eggs and chicks. It will takes 38 days to hatch and about 60 days to fledge. We often see Red-tailed Hawk, Red-shouldered Hawk and even Bald Eagle (occasionally) are sent to rehab center due to car accident or injuries. But we seldom see an Osprey sent for treatment. Because they stay at the "safe side", near a large body of water such as lake, river or shoreline to catch fish. Both parent takes turn to sit on the eggs. Click image to appreciate their beauty! 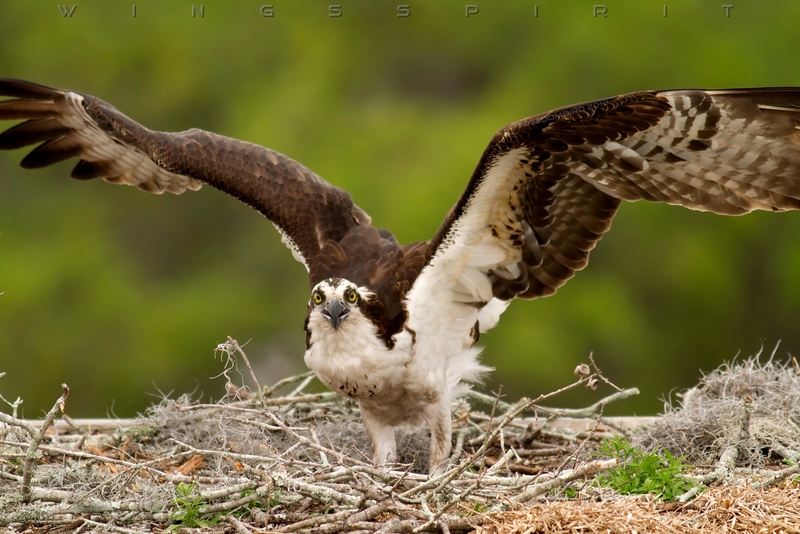 Osprey can travel over 160,000 miles during their 15 to 20 years of lifetime. Due to DDT use in the United States their number was close to extinction and rebounded slowly with the help of man-made nesting poles and DDT being banned after 1972. Unfortunately the main cause of their death nowadays is from entangled with fishing net, we, human, left behind from commercial trawling. The net caught by their talons tie them up from tree causes these birds not able to leave tree and ends up starving to death or twines around their chicks at nest and eventually suffocates these young birds who will never have the chance to grow up knowing how great and beautiful they are ...... We are only "tourists" on this planet. We came with nothing and we should also leave with nothing. If you must leave something, leave no harm and burden but a legacy to remember! Click image to feel his spirit! Linda, gorgeous photos! My husband and I are amazed at the nest shot you took... what a pose. Beautiful! Wonderful, excellent , and stunning shots! Wow wow wow!